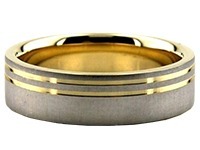 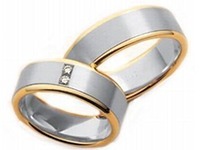 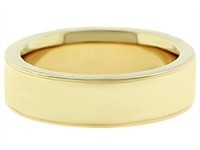 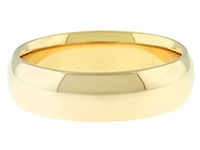 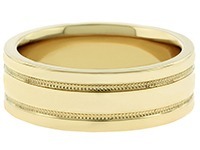 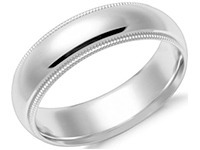 This 14k Gold Contemporary Two-Tone Wedding Band is 7mm wide and approximately 2mm thick, and is rounded on the inside, creating a comfort fit for daily wear. 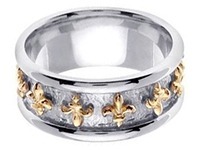 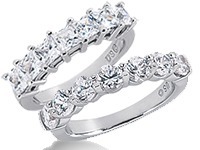 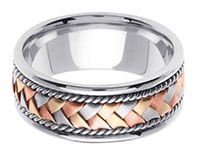 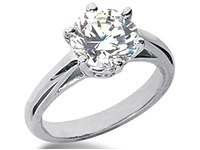 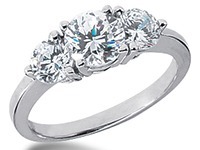 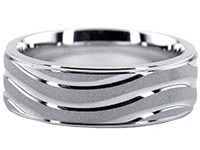 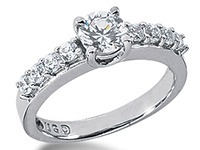 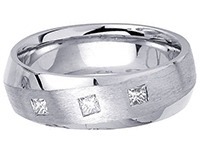 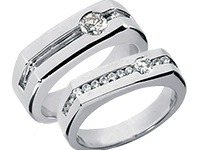 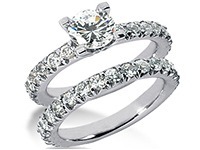 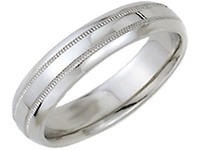 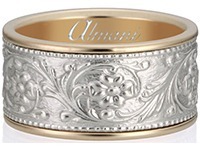 This ring is hand crafted in 14k white gold. 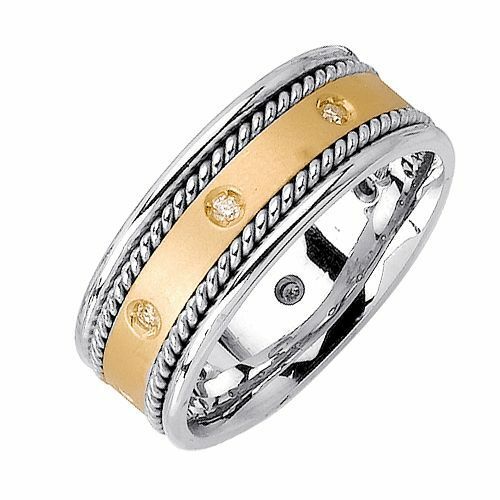 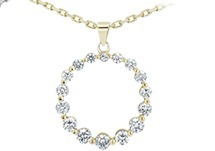 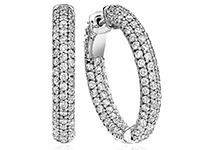 A yellow gold centerpiece surrounds the band with a matte finish containing diamonds scattered along the center. 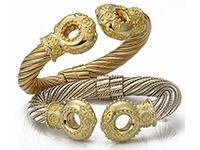 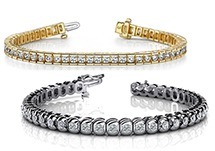 This unique design contains white gold roping that is carefully crafted alongside the centerpiece bringing out the true shine and contrast between white and yellow gold. 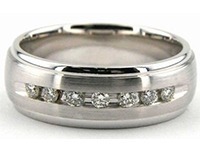 The eight diamonds along the centerpiece are evenly spaced in a bezel setting, truly emphasizing the beauty of this ring. 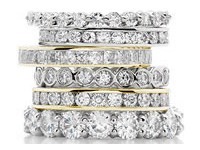 Whether it comes down to choosing from our Two-Tone Wedding Rings or other unique designs, you can be sure that all of our products are manufactured by the hands of one of our advanced jewelers at our factory located in New York City, New York.